New for 2016, the Belleville 612 ST updates the design of the ever popular 610 series boots. 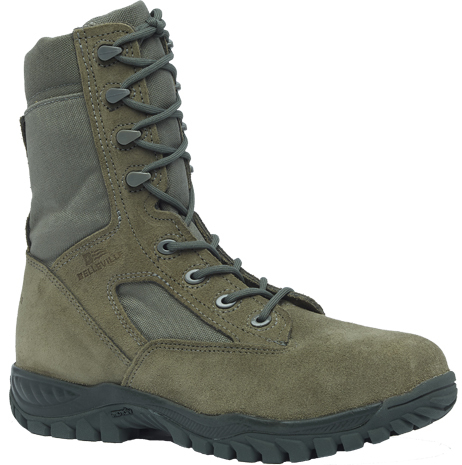 This boot features an unlined upper for hot weather settings. A suede leather and nylon Cordura upper provides durability and lightweight characteristics. 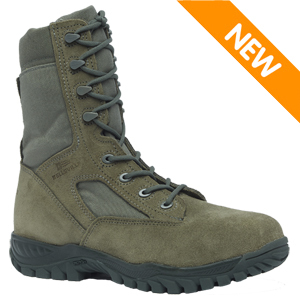 A tactical boot by design, this steel toe boot meets all ASTM requirements for foot protection. The Belleville 612 ST is built on an athletic strobel-stitch construction and features a 100% rubber Vibram "INCISOR" outsole. An ultra lite cushioning midsole absorbs impact when running or jumping. A tough and durable outsole not only lightens these boots but is also adds durability, slip resistance, and excellent grip. 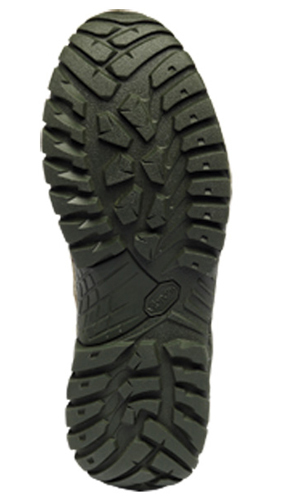 This boot is approved for wear with the U.S. Air Force Airman's Battle Uniform (ABU) and is proudly made in the USA.